BAT Logistics has been hiring to keep ahead of its demand, and upgrading its systems to keep ahead of the competition. That’s not all folks… BAT has added more services such as rail & port drayage services, along with BAT’s new LTL service application. There several reasons utilizing freight brokers, so I will list the largest reason such as added capacity, minimized costs, control over liability, flexibility over transportation costs, and save time. • Working with a broker instantly boost capacity. Depending on the size of the freight broker, they may work anywhere from one thousand to over fifty thousand carriers. This kind of capacity increases the chances that the freight broker can provide truckload capacity for 20-40% less costly than, if you’re asking your current providers that are not brokers. Either way, compare the rates between the freight broker and your providers. That’s how you minimize costs. • Brokers work with thousands of carriers to call upon to negotiate pricing therefore has more flexibility on its pricing. • Brokers will save you time, by utilizing a broker it gives you access hundreds of available trucks within minutes. Shippers that require its transportation providers to hold shipper harmless from any and all losses. regardless whom is negligent. Anti-indemnity law protects motor carriers (not freight brokers-3pls in most states) and will void the contract as its against public policy for shippers to require the motor carrier to hold shipper harmless from any and all losses by the shipper or not. The purpose of the Anti-Indemnity is to shift the 100% liability from the motor-carrier to balance the liability. OMAHA, Neb.–(Sept 17th, 2010) According to the Association of American Railroads (AAR) this week it reports weekly rail car load volume set a new 2010 record for the second consecutive week. With the slow down in the economy more shippers have been utilizing the railroad as another alternative to saving money. And why not? Unless your product is time sensitive, or needs to be refrigerated, rail can be a perfect option that can save you up to 20-30 percent, and sometimes more. There are even some other ways to save money through rail services. The downside to rail is the amount of time it takes to transport freight. For example, to transport freight 850 miles could take four to five days using rail service, but only take two days for truck load service. A good approach to time sensitive freight and thats not temperature control is to offer your customer/vendor a discount for more time to receive their freight. I bet you twenty percent of the time your customer could spare a couple more days, regardless of the discount. Some other benefits to utilizing rail service can be that of a rolling warehouse, and its ability to provide drop trailers to cut back on the man hours needed to load/unload its freight. With the economy cutting into your labor costs, drop trailers can be less costly than having to pay drivers overtime sitting for several hours while your short on help due to labor cut backs. While there are costs associated with having rail containers dropped its can be much cheaper in the long run. For those looking to save money by freeing up space in the facility warehouse without having to ship their freight earlier than its customer wants it, rail service can be used as a moving warehouse. 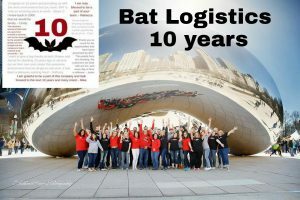 OMAHA, Neb.– April 27, 2011 – BAT Logistics, provider of 3rd Party Logistics and Transportation solutions, continues to grow its revenue by double digit percentages in the first quarter. Despite tighter capacity, and severe winter weather that caused major delays in freight shipments earlier in the year. 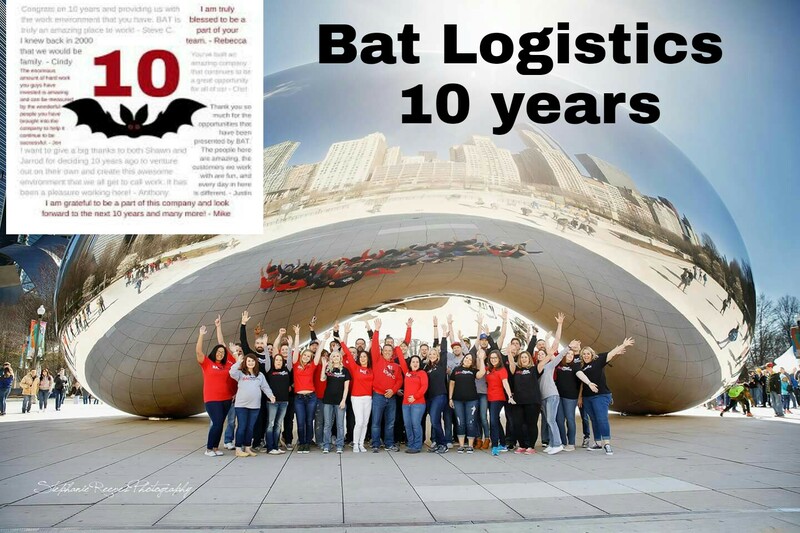 “BAT contributes the earnings to a strong demand for its full truck load and flatbed services, along with significant increases in its customer base, and contracted freight,” said Jarrod Marinello, Co-Owner and VP of BAT Logistics.